Water hyacinth (WH) or Eichhornia crassipes is one of the 100 most dangerous invasive species in the world. Currently, WH has enormous negative impacts on various ecosystems, and its eradication poses a seemingly impossible challenge. Physical extraction has been found to be an adequate process for controlling the spread of WH, but sustainable waste management of WH has not been achieved due to its ability to absorb pollutants. 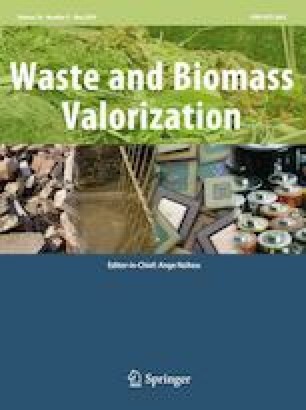 In this study, preliminary research on the possibility of using water hyacinth root ash (WHRA) as an alternative to pozzolans in cement matrices in order to fix these pollutants is presented. Characterization of the samples was carried out by XRF, SEM, BSE, EDX, ICP-OES, XRD and FTIR. A complete study of the pozzolanic activity and hydrated products of WHRA was conducted. Mechanical characterization of 25% replacement mortars was evaluated, and a pollutant fixed/leaching characterization was made. The results indicate that WHRA reacts with calcium ions and other pollutants. Thus, WHRA–cement mortars can be utilized as a green method of fixing the pollutants present in WHRA. The incorporation of WHRA is suitable as a cement addition for non-structural constructive elements, such as pavements or precast products. WHRA–cement composite is a low-cost, greener material, which promotes the reuse of waste and pollutant elimination. The authors gratefully acknowledge the Botany Area of University of Extremadura (Spain) for the logistical support offered. This research received funding from several Agencia Estatal de Investigación Spanish ministries under projects: Grant Nos. BIA2013-48876-C3-1-R, BIA2013-48876-C3-2-R and BIA2016-76643-C3-1-R.